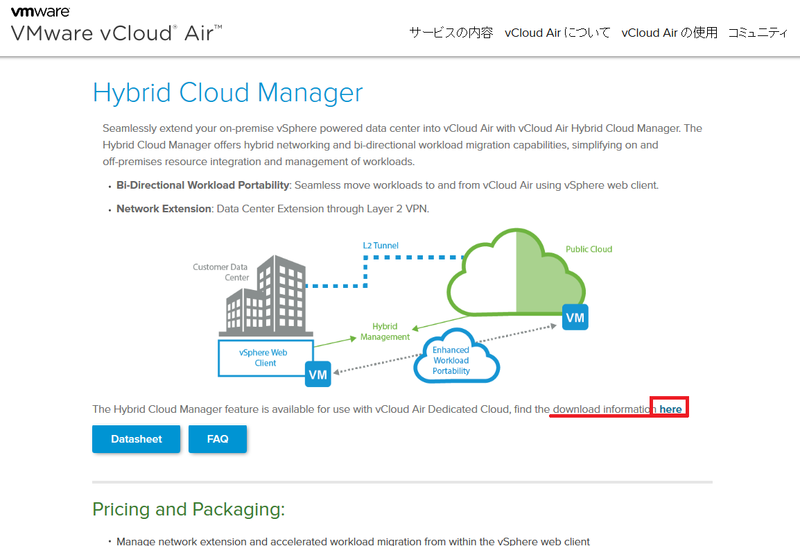 ・Hybrid Cloud Service virtual appliances (Cloud Gateway, L2 Concentrator, WAN optimization) should not be removed while services are running. 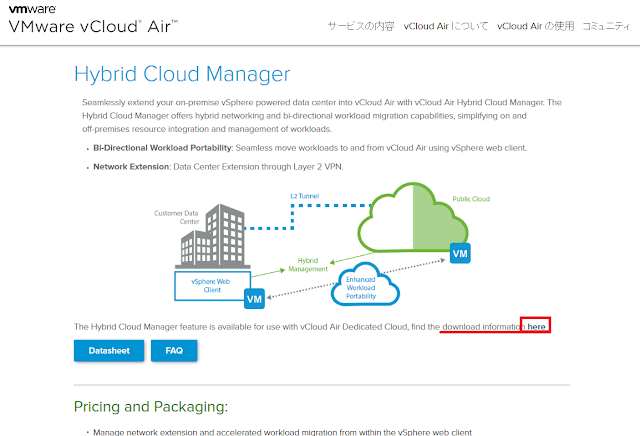 ・The Hybrid Cloud Manager web server component might fail to initialize on appliance bootup. Scheduled Switchover task appears to be stuck at 80% and switchover is not initiated at the expected time. When a client browser is running in a time zone which is behind UTC, a switchover scheduled for the current day of the week might be delayed one week. MAC address is always retained for a VM migrated from vCloud Air to vSphere. 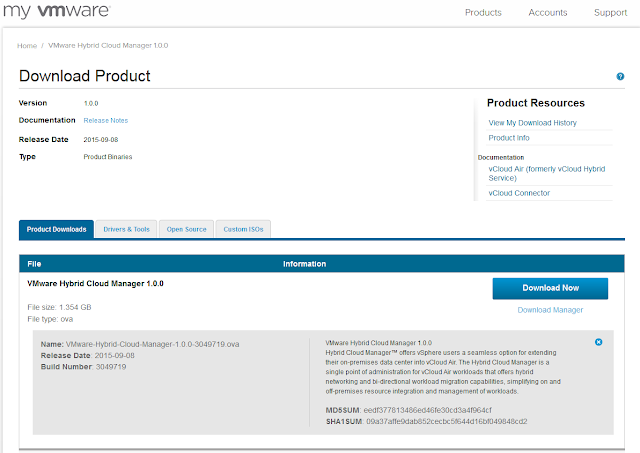 The VM power state is incorrectly listed in the reverse migration wizard. The migration wizard occasionally displays negative values for the Available vDC resources (CPU / RAM). On VMs with multiple vNICs, only the first vNIC attaches to the designated network. The remaining vNICs arbitrarily connect to other networks. Migration of VM fails when VM name contains special characters.